This document sets out the terms and exclusions of the MICRO-TECH™ BY TEMPUR® Warranty for new MICRO-TECH™ BY TEMPUR® products sold to consumers worldwide (excluding the USA and Canada). Who offers the MICRO-TECH™ BY TEMPUR® Warranty? Micro-Tech™ by TEMPUR® products (excluding the USA and Canada) are provided by Dan-Foam ApS (“Dan-Foam Aps”), a company incorporated in Denmark under company registration number DK-24209709. Registered office address: Holmelund 43, 5560 Aarup, Denmark. Dan-Foam ApS is a subsidiary of Tempur-Sealy International, Inc.
Dan-Foam Aps warrants that all new and genuine MICRO-TECH™ BY TEMPUR® products are free from material defects due to faulty workmanship or materials for the applicable warranty period (see section - For how long?) unless the product is specifically excluded or an exclusion applies (see section - Exclusions). The MICRO-TECH™ BY TEMPUR® Warranty lasts for the period displayed on or inside the packaging of the relevant product or as stated below, starting from the date of purchase (except where the product is an ex-display or demonstration model in which case the warranty starts from the date of manufacture). MICRO-TECH™ BY TEMPUR® Mattress (Micro-Tech™ & Micro-Tech™ Hybrid Models) 7 years Material defects due to faulty workmanship or materials, or changes which cause a visible indentation more than 2cm in the TEMPUR® material. 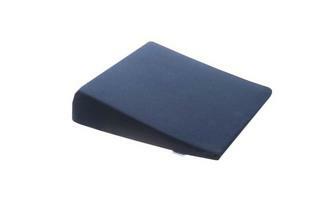 Pillow 2 years Material defects due to faulty workmanship or materials. Bed Bases, Bed Frames & Headboards 2 years Material defects due to faulty workmanship or materials. Cover 2 years Material defects due to faulty workmanship or materials. Where a valid claim is made in accordance with this MICRO-TECH™ BY TEMPUR® Warranty, the Manufacturer shall offer, at its choice, either to repair the defective product or provide an equivalent replacement product free of charge. 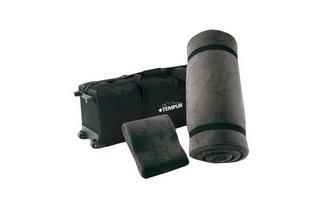 The Manufacturer will refund the reasonable delivery cost of returning a defective product for repair or replacement so long as the claim is valid under the terms of this MICRO-TECH™ BY TEMPUR® Warranty and the product is returned from an address within the same country as the authorised retailer the product was purchased from. The repaired or replacement product will be delivered free of charge to an address within the same country as the authorised retailer the product was purchased from. In all other circumstances, any delivery costs associated with any repairs or replacements are the purchaser's responsibility. The MICRO-TECH™ BY TEMPUR® Warranty provides cover from the date of purchase (or date of manufacture in the case of ex-display/demonstration products) of the original product. It is not renewed on the provision of a repaired or replaced product. In these circumstances, the MICRO-TECH™ BY TEMPUR® Warranty will run for the remainder of the period starting from the original purchase or manufacture date, as applicable. the process for making a claim under the MICRO-TECH™ BY TEMPUR® Warranty (set out under the heading "How do you claim under the MICRO-TECH™ BY TEMPUR® Warranty?" below) has not been correctly followed. the product has been wet or soaked against Dan Foam Aps’ recommendations. the product has been altered or repaired without Dan Foam Aps’ prior permission. zips on the cover of MICRO-TECH™ BY TEMPUR® Products, unless faulty upon receipt of product. for mattresses, the defect or change in the product is only a minor variation or normal change which does not affect the pressure redistributing properties of the product. How do you claim under the MICRO-TECH™ BY TEMPUR® Warranty? Contact the authorised retailer you originally purchased the product from (the “Seller”). If the Seller is either no longer in business or is no longer a MICRO-TECH™ BY TEMPUR® authorised retailer, please contact the Manufacturer. Have correctly completed the MICRO-TECH™ BY TEMPUR® Warranty certificate given to you at the time of purchase or the online form available at warranty.tempur.com. Please register your MICRO-TECH™ BY TEMPUR® Warranty as soon as possible after your purchase. Return the product to the Seller or to the Manufacturer (but only if the Manufacturer has requested the product). If the Manufacturer determines that the claim is valid in accordance with the terms of this MICRO-TECH™ BY TEMPUR® Warranty, you will be refunded the reasonable delivery costs for the returning the defective product so long as the product has been returned from an address within the same country as the Seller. Micro-Tech™ by TEMPUR® products comply with applicable mandatory safety standards, which may vary depending on the product or the region. Further information is available upon request. The liability of the Manufacturer is limited to the cost of repair and/or replacement of the product under the MICRO-TECH™ BY TEMPUR® Warranty. Accordingly, the Manufacturer will not be liable for all other liability for loss or damage howsoever caused arising out of the purchase, possession, sale or use of the products. However, the Manufacturer does not exclude or limit in any way its liability for death or personal injury caused by its negligence, or fraud or fraudulent misrepresentation. The MICRO-TECH™ BY TEMPUR® Warranty does not affect a consumer’s statutory rights under applicable law but aims to enhance the consumer’s rights where applicable.